We are based in the UK and have been pleased to have provided a service over the last 7 years allowing you to have a point of contact in both countries. Booking is easy and can be made through us with the assurance and peace of mind that you can communicate and also make safe online low deposit payments here in the UK to secure your boat trips. You are more than welcome to call us to discuss your requirements or ask advice about what to do and see in the area. We offer Local Private Boat Trips from Fethiye harbor. All the boats shown are locally owned private boat trips. These boat trips offer a great full days outing catering for families, groups and special occasions. All the boat trips lay on a lovely BBQ lunch all included in the price making these boat trips great value for money as well! Enjoy a day of relaxing, swimming, snorkeling and cruising around the small bays where the day is designed around you. We have been offering boat trips for a number of years now and have personally visited and verified all the boat trips to ensure you can book with confidence. Car Hire Dalaman Airport, exclusive deals with leading brands, benefit from unlimited mileage options, collision damage waiver with zero excess liability, handpicked car rental providers, a free additional driver (available at most locations). Covering Fethiye. Calis Beach, Hisaronu, Olu Deniz and Marmaris areas in Turkey. 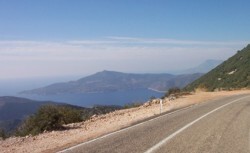 Car Hire Dalaman Airport includes free delivery and collection from Dalaman Airport. We only use travel agents that are TURSAB (Association of Turkish Travel Agencies) registered for your peace of mind.